On 20th June 2014, the Spanish company Zero 2 Infinity, based in Barcelona, flew educational payloads designed by two Israeli High Schools and commissioned by their partner in Hod HaSharon, SPACECIALIST. 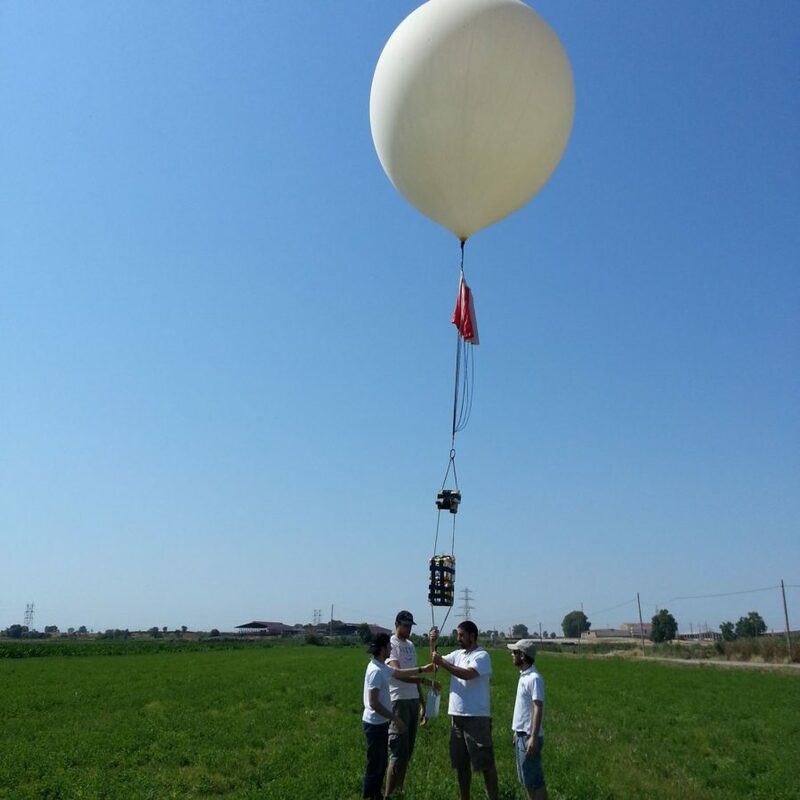 The balloon was launched near Lleida, 150 km from Barcelona, reached an altitude of 31 km and was quickly recovered by the team after a 2-hour flight. The key objectives of the flight were to promote STEM education among high school girls and boys using Space engineering hands-on experiments. “Education is at the heart of all our activities at Zero 2 Infinity and we are very proud to be able to help young students fly their own design to Near Space and to do so with our partner SPACECIALIST. “We hope to fly many more educational payloads and one day we will fly the students themselves!” says Jose Mariano Lopez-Urdiales, CEO of Zero 2 Infinity. Maya Glickman-Pariente, SPACECIALIST CEO, expressed her enthusiasm likewise: “Today we were supposed to celebrate Ilan Ramon’s 60th birthday, the first Israeli Astronaut, which died onboard the Columbia. Part of Ilan’s legacy was promoting STEM education and this is what we do. The high school kids from Ramat HaSharon designed, developed and built experiments that combine fine arts like music and painting with Space engineering. We would like to thank Zero 2 Infinity for an excellent performance and announce that we already have started working on future experiments.” Zero 2 Infinity is currently operational to send scientific and technical payloads up to several metric tons to Near Space and aims to start its manned test program next year. Commercial operations should start soon to offer the view from Near Space to private passengers.